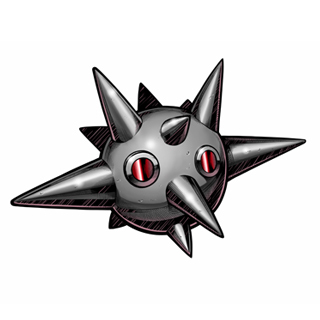 A Digimon that lurks underwater or under the shade of rocks, it doesn't move around very much while it waits quietly in one place. Although it has a habit of attacking those that come near, it is never belligerent and won't attack those that stay away from it. 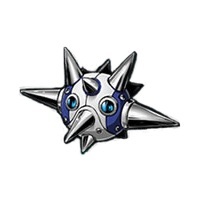 Because it proliferates abnormally when the temperature exceeds 30°C, Chikurimon can often be seen thickly crowded into lakes or around rocks with the coming of summer, and Digimon that come to drink water are often attacked. 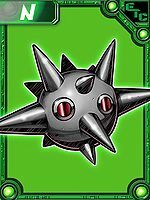 Its "Final Chikurimon", which sacrifices itself just as the name suggests, is the final Special Move of a Chikurimon that explodes itself together with its opponent. 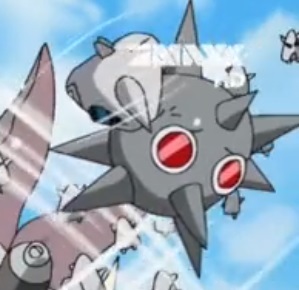 Final Chikurimon  ファイナルチクリモン Fainaru Chikurimon Detonates itself to attack the opponent. Chikurimon from Digimon Xros Wars. Several Chikurimon support Mad Leomon in his fight against Xros Heart. They get absorbed into Mad Leomon during the fight. This page was last modified on 15 October 2018, at 12:01.